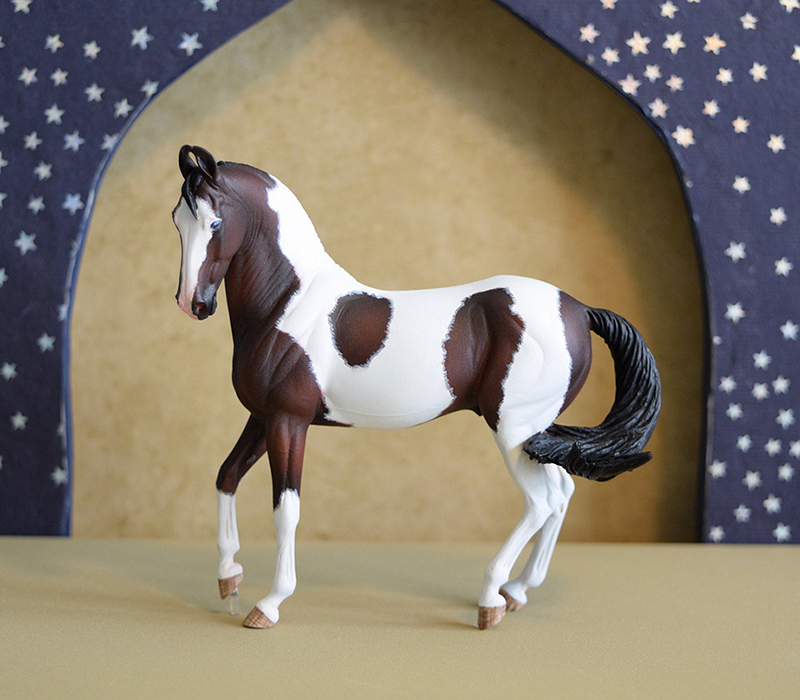 This is one of the mini Marwari resins I painted for BreyerFest 2017. 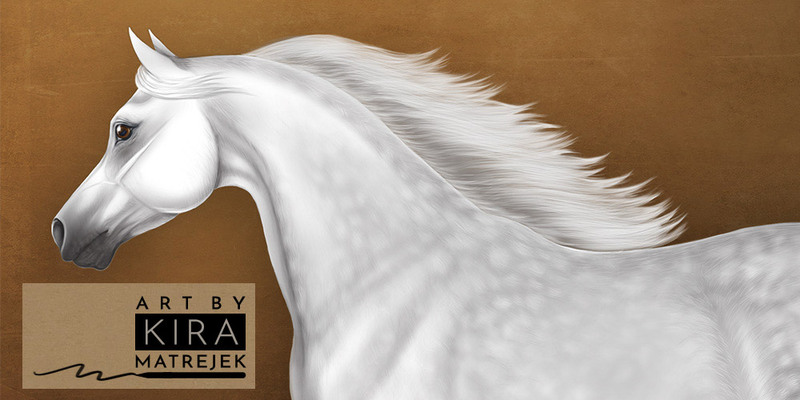 The BreyerFest guest horse was a Marwari, and I was excited to paint a model of this unique and unusual breed. The resin is by Sarah Rose; she sculpted and released the Mini Marwari back in 2013. 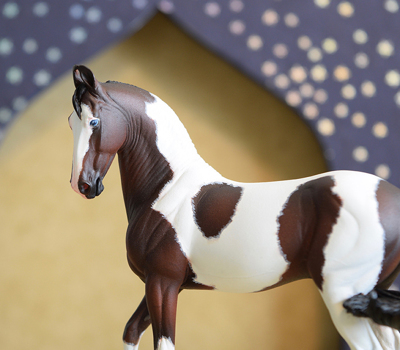 It's been sold out since then, but I was able to purchase two unpainted resins last year from a fellow collector. 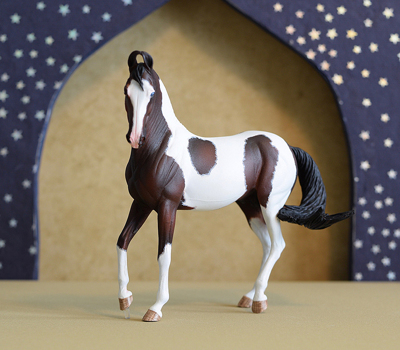 The model is stablemate-scale, approximately 3.5" long/tall. I painted him in acrylics to a striking dark bay and white tobiano pinto, first by airbrushing the base coat and shading, then hand painting all of the tiny details: hoof stripes, dappling, veining, shading, hair details around white markings, a pink nose, and one blue eye and one brown eye. Finally I sealed him with satin varnish to protect his finish. 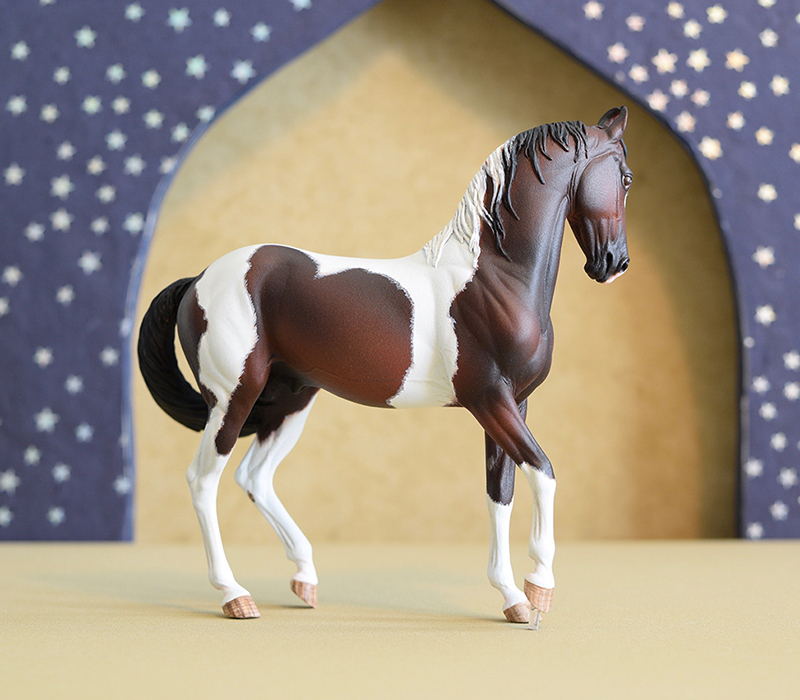 He's a gorgeous piece and would make a great addition to your collection or show string!